Quite often when churches think about getting their sermons online—regardless of whether they post them on their own church website, Vimeo, YouTube, or with a service such as SermonAudio.com—they tend to place the highest priority on audio and video. The written word, after all, is seen as old-fashioned and outdated. People look at the popularity of YouTube and think simply uploading the sermon file they have already recorded anyway is enough to have their message heard. By contrast, getting the written transcript of the sermon online takes work—and no small amount of skill to do well. Because of this level of effort, and since documents on their own seem somehow less exciting than that beautifully edited video, sermon transcription is often overlooked and chalked up as ineffective and an unnecessary expense. 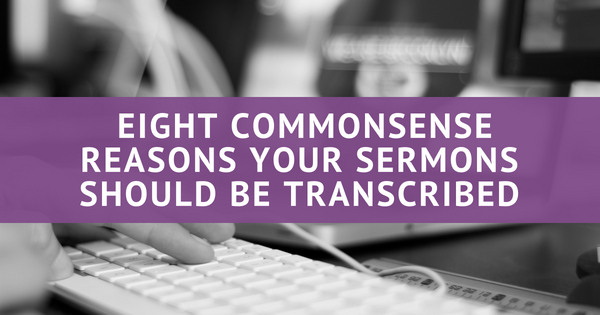 I’d like to expound on at least eight reasons why sermon transcripts are just as important as audio and video and why they should have a prominent place on any church website. In fact, as you will see in this article, a transcript will actually lead more folks to find, view, and be blessed by your message than if you rely on audio or video alone. So let’s get started. 8. Accessibility is vital. The most obvious and often overlooked benefit of a sermon transcript is for those who are hearing impaired or for those without the ability to play audio or video files. The written text can still be a source of great blessing for those who cannot otherwise access your message. 7. Accommodating learning styles and personal preferences. There are those who simply prefer reading to listening, and others like to read while watching or listening, which reinforces content. Some of us need to read the words ourselves to fully grasp and retain them. 6. Now you’re speaking their language! Transcripts can be easily translated into other languages, in whole or in part, with the translations, then synchronized to the video so that folks can listen to your sermon in the original language, hear your tone and inflection, see your facial expressions, and yet comprehend the message in their own heart language. 5. Social media mastery. Having text that can be copied and pasted allows your audience to more easily (and accurately!) clip excerpts of your sermon or teaching and share these nuggets on Facebook and Twitter or through email or text. With the ability to link their followers back to your original full text, and your other media offerings, you begin to truly harness the power of social media for something of more lasting value than the latest political tweet or cute baby photo. 4. You could write the book on your topic—literally! Sermon transcripts are a fantastic starting point for manuscripts, tracts, pamphlets, blogs, and journal articles. A sermon series, once complete, can easily be collected into a booklet that becomes a devotional or an exegetical study of the topic. It can become a simple e-book of sermons or the outline of a work to flesh out the topic in a traditional book. 3. Enable the Bereans among you. Text-based sermon transcripts make studying and finding content easier. They allow for keyword searches and highlighting and can be printed out and used in personal study or devotions. 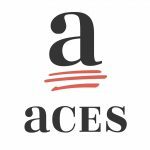 Links to other resources can be inserted into the PDF as well as to the text on your website, and Bible verses can be linked to allow your readers to see the references in context. Transcripts also give classes, small groups, families, and individuals an effective way to use your sermons as a study guide. You may even consider adding thought-provoking questions or other study resources to your sermon transcript to facilitate a more in-depth study of the topic. 2. Mind the attention gap! Let’s face it. We live in a fast-food world. In fact, we live in a world where we actually microwave our fast food because frying takes too long. It is one thing to be able to sit and give the pastor your full attention within the peaceful surroundings of the Sunday morning service. It can be quite another to watch the sermon online while the kids are arguing in the living room, the dog is chasing the cat, and the other cares of life are pressing in around us. A sermon transcript can give your audience the ability, in their distracted universe, to get through the full message in their own time, picking up where they left off, and not losing track of the totality of the sermon. Content is king. If the full text of your sermon is available on the webpage itself (and it is important to have the text, not just a downloadable file like a PDF), then the totality of your message can be searched for and, more importantly, found. Search engines like things that are fresh. A “stale” site is one where the content does not change very often. Many churches think of their website as a digital Yellow Pages ad (for my younger readers, those were phone books—actual printed books that had lists of…well, never mind—ask your parents). This lack of updated and new material is noticed by the search engines, and it lowers your “score.” The idea is that old data is not relevant data in our digital world. People can find your sermon even when they didn’t know they were looking for it. How many times have you gone online to research infralapsarianism, only to find four hours later you are still looking at time-lapse videos of flowers opening in the Irish countryside? There is much more to your message than the title of your sermon—and people can be drawn to your website even though they may have been searching for something that was just a sub-point of (or a rabbit trail in) your sermon. So if you want to make your sermons available to the millions of people who may be searching for answers to their serious theological questions, it’s crucial to post them in a searchable format. This means you must post more than just video and audio files—you need the written word. By now you should see the many benefits of having an accurate transcript of your message. 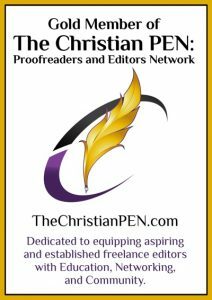 A professional sermon transcription is not a needless add-on but a powerful help (alongside your audio and video files) in evangelizing, teaching, exhorting, and encouraging, not only your congregation but all those the Lord leads to your website. If you have a skilled transcriptionist in your church willing to take on this task, you should take advantage of that blessing. But if not, I would be glad to help! Contact me today, and let’s discuss your needs and how I can be of service to you.